Come see what hundreds of offices have already discovered! Dr.Phelps is a top quality educator who has helped me and many other dentists improve our practices. He has contributed so much to our profession. Dr Chris Phelps is dedicated to advancing the profession of dentistry and to helping his fellow colleagues learn to care for there patients and there team at the highest level possible. Helping docs help there patients, a win-win for all! Dr. Phelps has been a great mentor and coach for me! I have attended several of his lectured and he also helped me find a great implant course and mentor. We loved the persuasion course that he conducts and have just finished our Kolbe tests that he will help us with as a team! Dr. Phelps is a wonderful teacher and influencer. He helped me identify the right implant course and mentor for my style of practice. In addition, he helped my team learn how to use powerful techniques when presenting cases to patients to ensure they can make clear choices for all their oral health needs. Dr.Phelps is a great educator and communicator and what I love about him is he is great at simplifying things. Dr.Phelps is the best !! Dr Phelps is an awesome teacher !! Learned a lot from him !!! Dr. Phelps is an amazing doctor and educator! There’s a reason doctors all around the country fly to North Carolina to learn from him. I can personally attest to his skill and his character. We need more doctors like Dr. Phelps!!! Dr. Phelps is Ana amazing educator and innovator in our dental profession. Dr Chris Phelps brings the most insightful and useful information to dentists in the CE world. His teaching of the principals of persuasion will move the metrics on your business greater than any clinical skill set you could learn. Dr. Phelps is a thought leader in dentistry. His contributions will not only shape the profession, but it will change it for the better. Dr. Phelps is extremely knowledge and a master of his craft. I would love to be a patient at one of his practices. Dr. Phelps is a leader in dentistry being able to start multiple practices and now being able to mentor other dentist and providing dentist with programs to help their business.. he is top notch in my opinion! I have learned so much from Dr. Phelps. I have listened to many podcasts where he has been the guest and have had internet forum type discussions with him on many occasions. He always brings huge value! Great inspiration. Helped me on a personal and professional level. So glad we have someone like him in the profession. Dr. Phelps is an excellent lecturer. He shared his success with his In-House Cost Savings Plan and marketing to seniors. I have implemented a similar program with his guidance and found it well received in my community. This type of marketing makes dentistry affordable for an underserved population. I have known Dr Phelps since March 2015 when I took one of his courses. Through the knowledge I gained at his course as well as his constant follow up with me he has helped me grow my dental office significantly. Dr Phelps is a great clinician as he teaches other dentists how to place implants. However, at the core of it all is a man that really cares. Dr Phelps has helped many grow their dental practices as he takes a keen interest in not only them as a practitioner but them as a person. Im blessed that our paths crossed!! Always looking forward to Dr. Phelps presentation and opportunity to learn something new from him. Dr Chris Phelps is one of the best instructors I know. He's passionate in his teachings and helps others become better in their craft. Appreciate having this positive influence in our community. Dr David Phelps is the one person who helped put me on the right path towards financial freedom. He also exposed me to many other great thought leaders in several other areas concerning business, personal growth, leadership, and alternative investments. I will always be grateful for the direction he gave me. Dr Phelps is a knowledgeable & empathic clinic who takes pride in everything he does! He has achieved a lot in his career! I've enjoyed watching Dr. Phelps treat difficult cases in a practical and repeatable manner. Fantastic dentist who’s willing to take time to help others. True selflessness and that is not so common these days. Dr. Chris Phelps is a though leader in our profession. He is not only a world class clinician, but he is an amazing educator and business owner. Really a great guy all around. Dr. Phelps is great, has a lot of knowledge on grass roots marketing. He was able to grow a large FFS practice and utilize many tools not traditional to dental marketing. I can't say enough good things about Dr. Phelps. In addition to being an outstanding clinician, he is an excellent teacher as well. I have learned so much from Dr. Phelps that I have been able to immediately incorporate into my practice and my personal life. Love his material on the sales techniques that are ethical and influential. Helps any dentist in any part of their career. Dr. Phelps has helped many of my clients who are doctors across the United States! He is so knowledgable and giving! Dr. Phelps is highly regarded in our field for a reason. His devotion to education and commitment to sharing his knowledge is truly inspiring! Chris Phelps is a great dentist who really knows his stuff! He goes above and beyond in terms of service and creating value for the service he provides. Dr. Phelps is a great dentist with cgood communication skill. He is caring and knowledgeable. He loves to help. Incredible insight, information, and wisdom. I will take what I’ve learned from Dr. Phelps through the rest of my dental career. Dr Phelps is awesome! He is talented and highly skilled and is always willing to help and support doctors like myself. I’m glad to have had the opportunity to have worked with him. Dr. Christopher Phelps is an excellent dentist, speaker, leader and entrepreneur. He is one of the most well rounded professionals I know. We are so glad to have him in our industry. Dr Phelps wonderful training, insight and advice has helped our office provide more quality treatment motivated patients. Dr. Phelps has mad a huge impact on my ability to effectively communicate and help my patients. I am greatful for the lessons I’ve learned from him. Dr Christopher Phelps is a phenomenal comprehensive dentist. Not only is he an expert in our field, he teaches other doctors how to implement "best practices," into their offices. I for example, read his book and am in the process of implementing one of his "in office financing programs." Not only is he a smart and genuine dentist, he is a gentleman as well. One of the best out there. PERIOD! In 25 years as a dentist I have taken hundreds of CE hours. I rank Dr. Phelps as one of the top educators of dentists I have ever experienced. His level of knowledge and his teaching skills blew me out of the water. His information can be installed immediately. Not only will I recommend him to colleagues, I will be educated by him again in the very near future. Dr Chris Phelps is an original and is helping dentists everywhere. Dr. Phelps advice has allowed me to provide better care to my patients and grow my patient base! He is a great mentor to our profession! Thank you Dr. Phelps! Great insight in the dental field, has been a great mentor to me and setting up certain systems in my office. Dr Phelps is an amazing clinician. My encounter with him was through a Persuasion course. He has impeccable communication skills, the way he relayed the information...made so much sense. He is a gem in our tribe. My vote goes to him for Doctor's Choice Award. Dr. Phelps takes dentistry to the next level! I would highly recommend him for your dental needs! 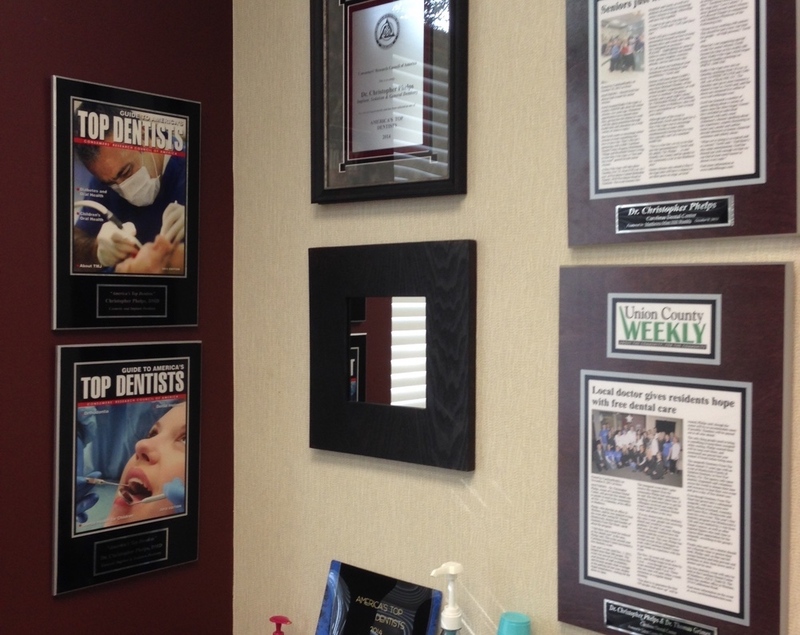 Dr. Phelps is committed to excellence in dentistry. He wants to provide what is best for his patients, and he helps dentists around the country to provide what is best for their patients as well. Dr Phelps has a very contagious passion for dentistry. The wealth of clinical and practice management knowledge Dr. Phelps has is remarkable. His tips continue to help my practice excel. I think he is a great candidate for the Doctors Choice Award. Dr. Phelps is an amazing dentist and educator. He shows an amazing ability to think critically and outside the box. His skills in practice management, advertising, and patient acquisition are unmatched. He is a very impressive lecturer, and he has been the one lecturer who has stood out most in my mind throughout my career. His demeanor, people skills, and dental knowledge make him a great dentist to any patient. I met Dr. Phelps when I was finishing dental school and have since taken a course with him. He is nothing short of charismatic, knowledgeable and an active participate to helping all those looking for it. Highly recommended for anything in the dental field. Dr. Phelps is a very competent clinician. His chairside manner is excellent. He is also an excellent teacher to fellow dentists. He always makes himself available to help and answer questions. He is very knowledgeable in many phases of dentistry. Dr. Phelps is a consummate professional. He is thoughtful in his approach to patient care and innovative in his practice. Chris Phelps is a knowledgeable and experienced clinician, interesting & engaging speaker, helpful & inspiring colleague. Well done! Dr. Chris Phelps is the real deal. I have learned so much from him and I consider him to be one of the best in Dentistry! Dr. Phelps is undoubtedly a talented entrepreneur, general dentist and author. He has contributed much to the dental profession and is an outstanding nominee for Doctor's Choice Awards! I had the opportunity to speak with Dr. Phelps...he's as good as advertised. The information he shared with me was original, insightful and just plain smart. No gimmicks, no shady sales, no pressure techniques to trick the patient...instead, he uses to power of choice (as described above) and reciprocity to create the environment for favorable responses and communication. Go to the course, I plan to do so at some point for sure! Dr. Phelps and team including Mr. Yagey were par excellence for me. In this era of CE courses in dentistry being sold to dentists solely for income of the presenter and the dentist going home with no useful data, it was humbling to come across Dr. Phelps playing it right with a large heart. These dentists are the true leaders of the profession, they choose to give to the profession even if they are not getting a whole lot back. Dr. Phelps is an excellent lecturer, entrepreneur, and clinician. He is committed to providing quality dentistry while increasing the access to dental care within his community. Furthermore, Dr. Phelps is dedicated to sharing his clinical and entrepreneurial knowledge with the rest of the dental community; he frequently lectures nationwide and teaches implant dentistry at his own training institute. Dr. Phelps is a mentor to many other dentists because of his knowledge and reputation within the field. He has experience treating patients in all aspects of dentistry and is accommodating with your schedule. I highly recommend him. Dr. Phelps is a phenomenal doctor and amazing teacher. I continue to grow as a practitioner under his guidance. Dr. Phelps is an amazing lecturer and an even more amazing individual. He provided me with numerous tips about the real world of dentistry while I was in dental school that I've carried with me into practice. I have been very fortunate to have met Dr. Phelps and even more fortunate to learn from such a brilliant dentist. Dr. Phelps is an excellent,skilled, multifaceted dentist and an amazing visionary and lecturer. The profession is lucky to have him. Dr. Phelps is both knowledgeable and giving. He has shared his gifts with our dental group which in turn has helped each of us grow and organize our practices. He is a great asset to those who he comes in contact. Thanks to you Dr. Phelps for all you've done and for all yet to do. Highly recommend Dr. Phelps. He is someone I go do when I have clinical questions. Dr Phelps possesses many enduring qualities that make him an excellent clinician and person. I have known him for many years and each time I attend a workshop or class I continue to learn and implement ideas into my practice. I would encourage any dentist to seek out Dr Phelps and attend a class. Excellent clinician and teacher. Dr Phelps has been instrumental on my journey in implant dentistry. A truly caring professional. I have been to several of Dr Phelps' lectures. I have found that his lectures are engaging, relevant, and very useful. It is obvious that he takes pride and pleasure from helping colleagues reach higher levels of practice performance. I'll keep it plain and simple: no dentist has taught me more than Dr. Chris Phelps has. Enough said. Dr. Phelps is a great doctor, mentor, and friend. I would refer anyone in my family to see him. Dr.Phelps has a unique chair side manner and knowledge of dentistry that is a model for fellow dentists. He is always exploring new and innovative practices to provide a dental experience unlike any other. His knowledge of our field allow him to be an innovator and role model. Excellent clinician who is always willing to go the extra mile to help a patient. Dr Phelps is a true visionary and industry leader. He is driving innovation that will make dental care more efficient, predictable, and accessible. On top of all that he is a first rate internationally recognized educator. I am honoured to know him, and his patients are lucky to have him! Dr. Phelps is an amazing doc and a leader in his field. Dr. Phelps is an excellent clinician, entrepreneur, and an educator. He is committed to providing his patients top quality care in a setting that is comfortable and convenient. Additionally, he is an amazing instructor to other dentists in various areas of dentistry. He is truly a gifted presenter and a world class clinician. I would recommend Dr. Phelps to anyone who needs quality dental care or to any dentist who wants to learn from the best! Dr. Phelps is well known internationally as an outstanding clinician, serial entrepreneur, teacher / professor / mentor and a humanitarian. Dr. Phelps thinks outside the box and views what most think of as barriers to be nothing more than challenges to conquer. His insight and solutions have been instrumental in making enhancing the lives of both patients and other health care practitioners. Dr. Phelps is an excellent clinician who runs an amazing practice. No one surpasses his passion and skill for implant dentistry. 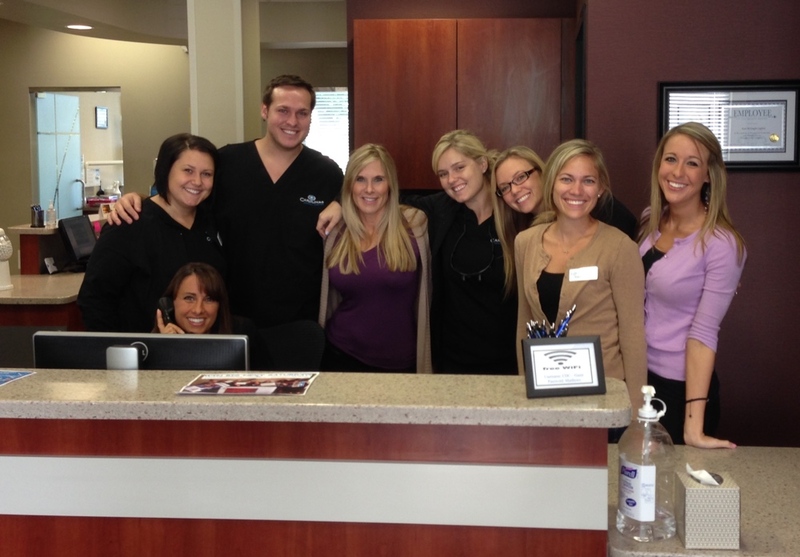 He literally has dentists from all around the country fly in to learn from him. Additionally, his office offers convenient hours Monday through Saturday. Between his skills, convenient hours, and the amazing staff it is an excellent place to get your dental work done. I found Dr. Phelps to be a very skillful, competent implant surgeon. I would highly recommend him for your dental needs. Chris displays a humility and compassion for others that is rarely seen today. He is an open book, willing to help and see others grow and succeed. Congratulations Chris, this nomination is well deserved. I am honored to call Dr. Phelps, my friend!! He is a phenomenal dentist, a mentor and a coach!! I highly recommend him! Chris is a great guy. He is a great lecturer and tremendous problem solver. He makes time to help you and has genuine interest assisting you discover solutions to dental or life obstacles you may be having. I know hundreds of dentists around America. 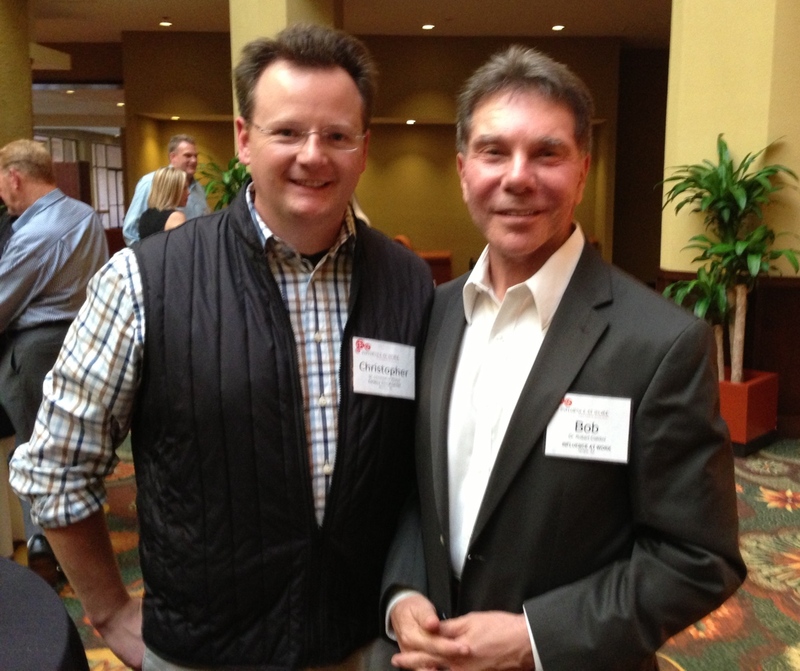 Dr. Chris Phelps has undoubtedly had the most influence on my career as both a skilled clinician and a business owner. His ideas are as unique as a platypus lays eggs and they have powerful positive impacts. Dr. Phelps' generosity of ideas to the dental community and problem-solving is second to none. Absolutely is he at the top of my Doctors' Choice. Dr Phelps greatest strength is his natural ability to breakdown ideas and teach them to others. I have been to his courses many times and wittnessed the participants grab onto these ideas and run with them. Along with being a teacher Dr Phelps is an innovator through creating other companies. He saw weak areas in his dental practice and becuase there were no solutions in the market place Dr Phelps created and built up companies to solve them. Dr. Phelps is a great teacher in dentistry. He has taught me many things to help better communicate with my patients and make them feel at home and comfortable with dental care. Dr Phelps is a committed clinician, always learning the latest techniques in dentistry and then applying them in his own practice. He is also an excellent teacher and he shares his knowledge with dentists around the world. Dr. Phelps is an amazing clinician and educator. His devotion to the field of dentistry is admirable and rare. Recommended with confidence! Dr. Phelps is a wonderful man and a wonderful dentist. As a practicing dentist myself, I appreciate having him to turn to for his expert advice on patient care and clinical procedures. I cannot recommend him highly enough! Dr. Phelps's lectures on running a dental office were excellent and have greatly helped me with my career. Dr. Phelps' help has been critical in the way I approach dentistry and most of all patient care and relationships. He is a top notch clinician and person and has been instrumental in teaching me how to provide top notch care for my patients. Dr. Phelps is an amazing dentist. His vast knowledge and selfless attitude is second to none. He's highly skilled and is always ready to help his colleagues find solutions. He has made a major impact on dentistry and continues to find ways to make the profession more exciting. "As a 25 year dentist, I have not been to better CE. Game-changing to my practice." "The workshop was clear and concise and can apply to anyone! Helps people to focus on goals and follow through with objectives to reach/obtain that goal." "Very informative and inspirational! Thank you." "Dr. Phelps is very engaging and entertaining." "I honestly believe everyone in the business of people should and could benefit from this training. It is so important to near things we already know or may not know from an outside party." "This 2 day course gave our clinic a toolbox of incredible information that we can all utilize to better serve both our current and potential patients." "I heard Dr. Phelps speaking on the principles of persuasion and how to close more cases, and the very first week when I put them into practice, I closed four $10,000 cases that week alone, which I've never done in the history of my practice!" "The week after taking this course and applying the principles I had the best month of collections, ever." "I have been to multiple seminars and courses over a ten year period trying to find what would make a practice more advantageous. Hands down, this has been the best course that not only applies principles you already know but allows you to capitalize on what works best for your practice and patients." "Awesome Experience! I would highly recommended this course for the entire dental team to experience. It was extremely impactful and research based which I really apreciated." "I take over 60 hours of CE in a year. This course by Dr. Phelps is in the top 5 of all courses taken in my 25+ years in practice. It is a must do for doctors and teams who want to see immediate results in patients saying yes!" "I came into the course skeptical, as I'm not a 'sales' person, but Dr. Phelps very quickly made me see how POP oculd positively influence and improve every aspect of my life regarding my relationships with others." "Dr Phelps has been a godsend to our national group of clinics. He is an excellent presenter and makes the learning fun and shares enough stories to help you be able to remember the Principles. The material he teaches is pure gold. Some of what we have learned are things we were already doing but did not know why they were working. The majority of what we learned was able to be implemented in our clinics around the country over the next few weeks after our seminar. The results of these things we implemented resulted in a gross increase of 50% of collections the very next month. I cannot recommend this training highly enough. I think every business owner who sell’s something in their business should have their entire company enrolled in this seminar because Dr. Phelps is amazing." "Thank you very much for making the trip up to Milwaukee to present on the Principles of Persuasion. Those two days got me more excited about dentistry than any other course I have ever taken. I cannot wait even more now until September when I'll join Chris Potrykus and apply these principles in private practice. Thanks again, and I look forward to keeping in touch with you in the future." "The Principle of Influence for Dentistry has been very informative not only for myself but the other five staff members including the Dr. that were able to attend the two day workshop. Chris Phelps is a powerful authority of delivering the Cialdini's principles. He lays it out step by step to help you take these influences back to your own practice and 'Make it Happen.' Chris tells us that people are so predictable but it is the way in which you use all ethical, authority and consistency plans that applies to each unique situation to increase NP and case acceptance while reducing no shows. It is the small ways you can change your verbiage and body language with proven results." "I have been in dentistry for over 20 years. I have learned more in this 2 day course than any other workshop, training or continuing education, I am excited to put these principles to the test in our office." "Dr. Phelps has taken it to another level! Great info that I can use tomorrow! " "For a shy, introverted person such as myself, it was very exciting and reassuring to find out that there are proven, reproductive principles that can be learned in order to become influential and persuasive. Grateful for the opportunity to be exposed to such knowledge. It is truly empowering! " "I really did not want to come to this course due to the 4.5 hour drive and leaving town on Saturday am, but I am so glad I did! Chris made it fun and I left with a lot of great ideas that I know can work in our office! " "Dr. Phelps knocked it out of the park! This program should be mandatory for every dentist in the United States!" "Thank you for a fantastic seminar. I learned a tremendous amount of extremely helpful information this weekend. If I could take it all over again next weekend, I would. I enjoyed every minute of it and found it to be very valuable. I look forward to staying involved via social media and in any other way I can." "I was very grateful to find out about this workshop. I've heard great things about the book INFLUENCE so I listened to the audiobook. Honestly, I struggled to figure out how to apply the principles to my dental practice. This course has really helped me to see many possibilities & opportunities when interacting with patients to gain trust & case acceptance. Thank you!" "I wanted to let you know we celebrated another Patient Appreciation Day recently. The event was well attended and grew a great deal from last year. Patients were very appreciative and it was an overall success. We were able to book a 14 unit veneer cosmetic case at the event as well. We as a team must continue to implement your recommendations. Thank you for your continued help and support with everything." "The knowledge and applications in "real world" situations is fantastic!! I can understand things that I never could fathom before & was dumbfounded as to WHY people did certain things. Now, I can see how these principles can change anyones stance - maybe not 100% of the time - but frequently enough, that it will have a major impact upon your life, and theirs!!" "POP is a fantastic workshop that every team should attend together. There are lots of great take-aways that can be implemented immediately." "As a practicing dentist and bussiness owner, the POP workshop is a business improvement "gold mine." The material is something that will be at the top of my mind as I continue to look for ways to add value to my clients & get better at what we do." "Dr. Phelps is a fantastic speaker! I really enjoyed his POP workshop and was able to implement 2-3 things right away in the practice. I highly recommend this workshop for dentists and their entire staff. I am looking forward to attending his marketing workshop next." "The very first patient we asked this morning, we completed veneers on 6-11, and then she returned for me to crown #4-5 because the old alloy looked ugly and she wanted her smile improved. She's a walking smile now and keeps telling us how much she loves her smile . . . and us. So - I took this as a "thank you" for my new smile, and asked for two things (actually more): we got her recall scheduled, and she's signing release, getting photo taken, writing testimony AND wants to join our DSP because she'll be retiring soon and will lose her dental benefits!! Wow! I told my wife we usually trip over things and break something in the process, but this time we "tripped over" Dr. Phelps through GEMS, and are about "break" records!!!" 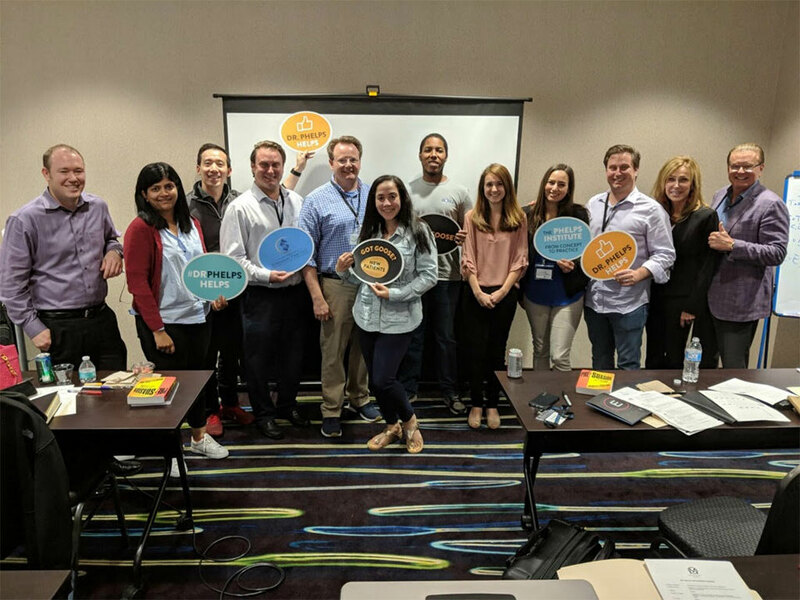 "Just attended a weekend training with Dr. Chris Phelps on the Cialdini principles and how they apply to not just dentistry, but in everyday life. I can sum it up in two words - 'simply amazing!!' And to be really brief, I'll share three more words of wisdom - 'take the class!' I'm taking it again, and bringing my entire team! Thank God our paths crossed!!" "Amazing information you can’t find anywhere else. Totally applicable & ethical!" "This course opened my eyes to an entire world that already existed in my practice and gave me the tools to tap into it." "While these principles seem simple and intuitive, they are so powerful. People are complex and getting them to get the help they desperately need can be challenging. I am excited to implement these principles so I can help more of my patients achieve better oral health." "The POP workshop was definitely worth the time. I learned "the power of words" when speaking to patients that benefits our office and the patient. This course teaches you to get your patient to say yes utilizing tools you already possess that would help any business." "I feel that what I've learned just in the first day will change so many aspects of how I deal with patients and will be pivotal to my personal and professional growth. I never realized how much power small things can have and how much positive change can be almost effortlessly put into motion." "This workshop covers things that affect my business that no one else is talking about. This makes sense and seems easy to digest and incorporate. My whole team was very attentive throughout both days!" Hi Chris, Wanted to follow up to the great course that you had down in Charlotte. I learned a great many things and I decided to take your advice on bonuses with my team.Previously I had run a system whereby I would set a daily goal for collections. Any money over that for each quarter would be multiplied by 10 per cent and then equally divided amongst team. Overall it had worked ok but then it hit a plateau and it became a sense of entitlement amongst everyone.When I spoke to Chris at the course he gave me some sound advice about reciprocity and how giving first is a better more sound way to do things compared to a "you do this and I will give you that" approach. It made sense to me. I went out on a whim a couple weeks back at our monthly meeting and thanked the team each for helping us get to this point of success in our office. I then informed them that I was giving them each a 200$ bonus for all of their hard work and dedication in the past. They were quite impressed. In the next breath I explained how we can continue to achieve even more and make for a more relaxed environment if we continued to work as a team. We brainstormed ways to improve and came up with a list of 18 things we can all do to improve the office.We then agreed to setting a goal of increasing daily collections by 8 per cent. We wrote it down and we all signed it right there. The results over the past two weeks have been great. If we continue this way for the last part of March we will have our best March ever.All because that little lesson that Chris taught me/us about front loading with abundance and giving first/reciprocation (amongst many other great tidbits of dental knowledge!) Thanks Chris! "I believe the workshop will help me become more influential at work as well as be able to develop new marketing strategies and use the Principles while presenting treatment plans to my patients. " "What I found most valuable about this course was that it's full of scientific, proven ways to get more of our patients to say yes." "What I found most valuable about this course is that we can all learn to be persuasive". - Shelley D, Patient Care/Financial Coordinator. "This course gave me so many positive takeaways I can use in my sales career. The workshop is ideal for any dentist or physician that wants to grow their practice. 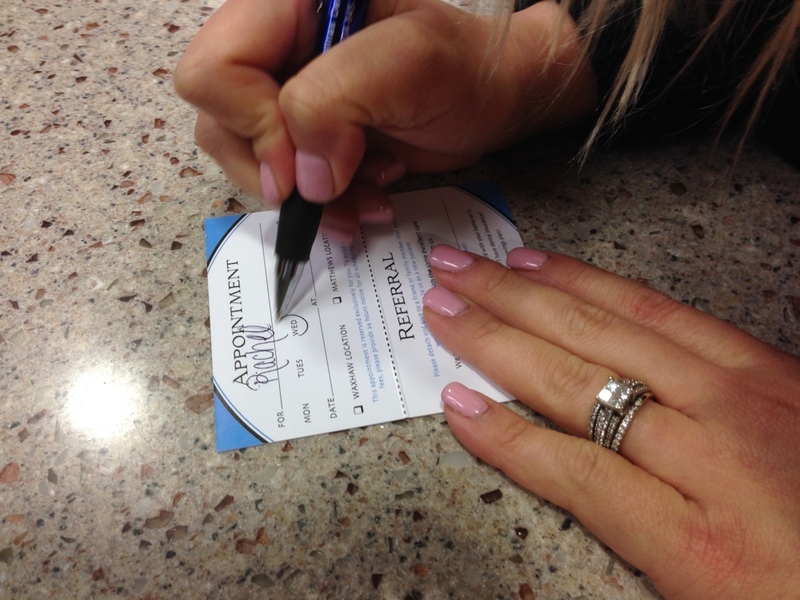 Getting patients to say yes is key in any practice!" "I'm a raving fan! The way Dr Chris Phelps applies the Principles of Persuasion to the practice of dentistry is nothing short of fantastic! His unique combination of likeability and humbleness are gifts that make him shine as a master of influence. 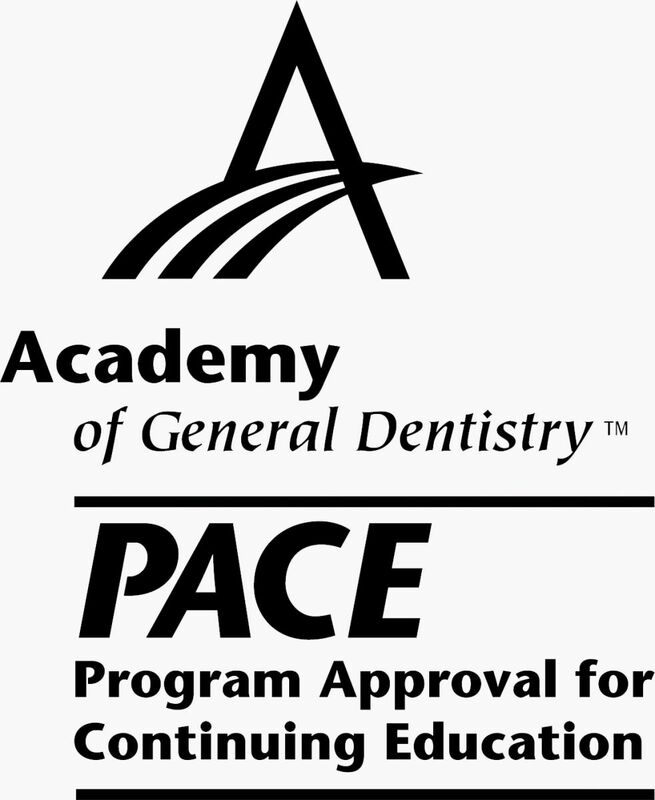 This course is a requirement for every dentist and team member! Dr Phelps has exposed the secrets to getting your patients to say yes and yes and yes! Run, don't walk, for this valuable experience"
I recently attended Dr. Chris Phelps’s workshop entitled “Principles of Persuasion” in Charlotte, NC. He introduces you to six principles of ethical persuasion by Robert Cialdini: reciprocity, scarcity, liking, authority, consensus, and consistency. Dr. Phelps is an excellent speaker with a very good grasp of the six principles. He is articulate, easy to understand and entertaining. He really shines when he discusses and shows examples of how he has implemented the principles in his own (very successful) dental practices. Each section of the workshop was filled with interesting illustrations and group activities that helped you see how each principle could be applied in an ethical manner. All the workshop materials were included in a nice binder, which was handed out. By the end of the workshop, I quickly realized that these are six important principles that I must master, in order to bring my practice goals to the next level. I highly recommend this workshop to all professionals. It does not matter if you are a dentist, hygienist, office manager, or dental assistant. The principles in this workshop, once applied, will make it easier for you to accomplish your daily objectives. Overall, I obviously loved the workshop and it has been by far the best nonclinical CE I have taken. It was great but it has been a combination of things that have made my opinion so strong in favor of Principles of Persuasion workshop. I can't imagine doing a startup without the information from this workshop. And on a side note, Dr. Phelps has been one of the most available and helpful people I have come across. This was prior to me attending any workshop as well. My advice is to attend this workshop sooner rather than later (take your whole team). You will be quite glad you did. 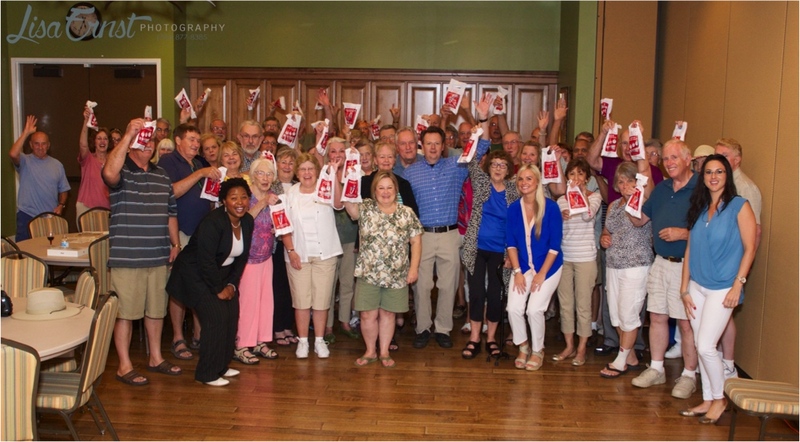 3 weeks ago my staff and I finished the 2-day 16 hour Principles of Persuasion workshop. Here are some qualitative results since then. No one has left our office without scheduling an appointment with us. No one. Case acceptance is notable increased thanks to the price stairs technique. A/R is dramatically higher the past 2 weeks. The course has paid for itself already. Well done, Chris. I'm glad you got to present to a large awesome group who will also benefit from your wisdom. I had the opportunity to speak with Dr. Phelps...he’s as good as advertised. The information he shared with me was original, insightful and just plain smart. No gimmicks, no shady sales, no pressure techniques to trick the patient...instead, he uses to power of choice (as described above) and reciprocity to create the environment for favorable responses and communication. Go to the course, I plan to do so at some point for sure! Great info- great course - Awesome team. Dr Chris Phelps has been a wonderful mentor and colleague throughout my 5 year experience in private practice dentistry. His willingness to share his vast wealth of knowledge and expertise sets him apart as one of the finest dental practitioners I’ve ever met or worked with. As I’ve found in my own experience, there is no better way to fully understand a subject than to teach it to someone else. This leaves Dr Phelps with “a whole lot” of understanding because he has taught me so much on aspects of dentistry ranging from dental implants to practice management to dental technology and materials. So the natural choice when I personally had a dental need was a colleague of excellence in my own field, Dr Chris Phelps. I continue to recommend Dr Phelps to new dentists who could learn from him and to any of my patients who are moving to the Charlotte area. "Dr. Phelps was great at presenting the material and was relevant information to almost any business that wants or needs to improve." "Your concepts are very accurate. Enjoyed the training & program. Very long, really loved Dr. Chris." "Effective Workshop on training/influencing the mind to think differently on getting success. I would reccomend anyone who is interested in marketing/sales." "If you tend to get bored during presentations and doodle your way through them, this one will change your whole outlook. Dr. Phelps will create a change in whatever it is you do that is sure to be a positive direction in your career and maybe your life." "Not only did I learn to ethically sell my services more efficiently, but we even got free teeth whitening advice!" "Dr. Phelps did a great job in presenting the information in an engaging and down to earth manner. I picked up some new insights as to why or why not people 'buy'." 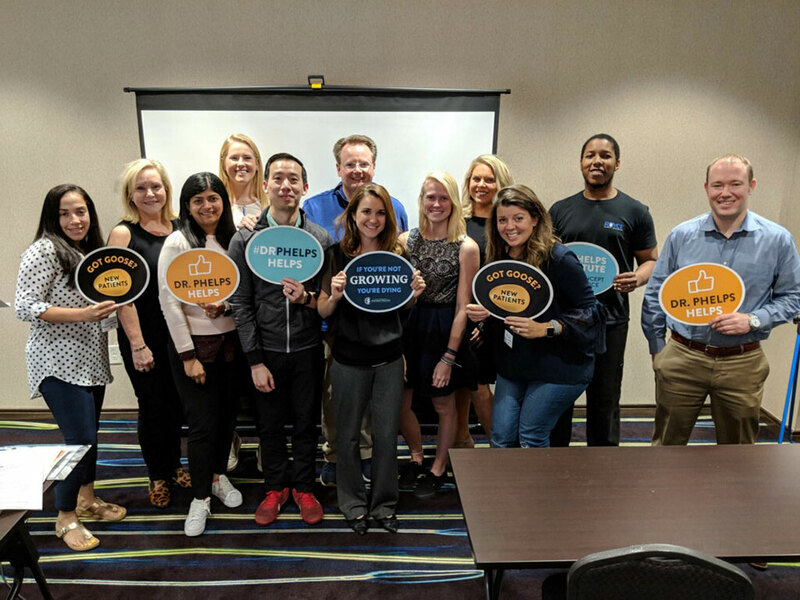 "Dr. Phelps amazing seminar really touched a lot of topics to help me grow in my position and to further exceed my great customer service skills. Please let Dr. Phelps know he has helped me so much and I am very appreciative of it." "Dr. Phelps Delivered a wonderful two day workshop on Influence & Persuasion. He brought great energy & was very engaging. We are really looking forward to implementing this information into our daily method of operation! Thank you kindly!" "I really enjoyed the POP workshop. There was not a boring moment. The information presented was mind-blowing & innovative. The principles presented will help me to approach my clients appropriately. I am happy to have attended." "One of the most effective presentations I have attended. Communication excellent, Organization excellent, Audio visual excellent." Over 97% of the doctors and team members who attended our workshop said they would refer a friend or colleague to the workshop, the rest said they ABSOLUTELY would! Cancellations received 14 days or more before the event will be eligible for a full refund of their registration fees. Cancellations received within 7-14 days of the event will be eligible for a refund of 50% of their registration fees or will be able to use the credit to attend another course if able. Cancellations received within 48 hours of the event will not be eligible for a refund of their registration fees, but may use the credit to attend another course if able. Copyright 2019 Call Tracker Inc.
© 2019 Guide Them To Yes. All Rights Reserved. Theme By: TidyThemes.